A trademark dispute with U.K. corporation BSkyB has forced Microsoft to rename its SkyDrive cloud storage service to OneDrive. It's still called SkyDrive for now, but Microsoft's cloud storage service will soon be sporting a different name thanks to a June 2013 decision by a U.K. judge, who ruled that the name has caused confusion with British broadcaster BSkyB. Microsoft originally said it would appeal the ruling but then in August 2013 agreed to change the name of the service. That name, as announced by Microsoft Consumer App and Service General Manager Ryan Gavin, is OneDrive. "Why OneDrive? We know that increasingly you will have many devices in your life, but you really want only one place for your most important stuff," he wrote in a OneDrive blog post. "One place for all of your photos and videos. One place for all of your documents. One place that is seamlessly connected across all the devices you use. You want OneDrive for everything in your life." The new name also meshes better with Microsoft's Xbox One console, which uses the service for a variety of functions like storing screenshots and gameplay videos. OneDrive will continue to operate as it always has for existing SkyDrive users, and access to content won't be affected. 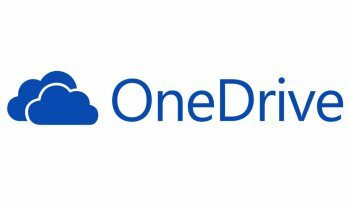 The "new" OneDrive will be rolled out soon.